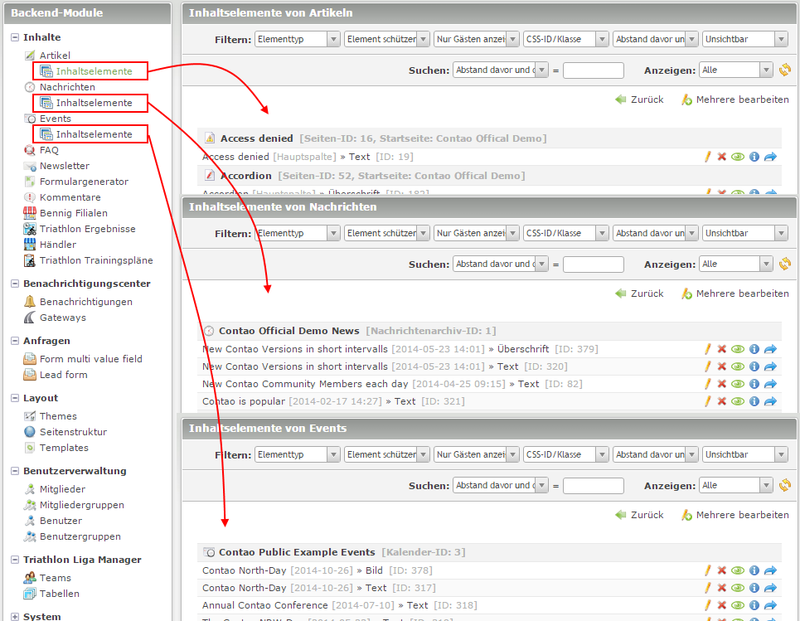 Directly lists all content elements of articles, news and events. Provides the possibility to edit content elements across parent containers (multi-editing). Directly lists all content elements of articles, news and events. Provides the possibility to edit content elements across parent containers (multi-editing). Install the extension via composer: cliffparnitzky/direct-content-elements. There are no dependencies to other extensions, that have to be installed.